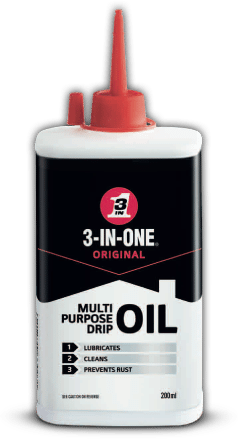 3-IN-ONE’s original drip oil lubricates, cleans and prevents rust. Its precise, easy-to-use drip spout enables precise lubrication, with no overspray or splatter. It can be used on in-line skates, tools, bicycles, wheels, fans and moving parts. Available in 100ml and 200ml cans.